Background Permanently recalled drugs are a public health concern if they remain accessible in violation of applicable regulation. Illicit online pharmacies act as an alternative form of access and have been associated with the sale to patients of counterfeit/falsified/fraudulent/substandard drugs. We wished to determine if permanently recalled and significantly restricted drugs were illegally marketed for sale online. Objective The study was conducted in two phases with two objectives. The first phase attempted to identify drugs subject to permanent recall in certain major pharmaceutical markets as well as those listed as recalled or significantly restricted by the United Nations. We also examined the market authorization status of identified drugs in China and India. The second phase used structured searches on the Internet to determine if identified drugs were marketed for sale online. Setting The World Wide Web. Method After identification of permanently recalled and restricted drugs we conducted Internet searches for illegal “no prescription” marketing events. We assessed the form of marketing, whether a site offered direct-to-patient sale, use of social media marketing, and the site’s compliance status with external monitoring bodies. Main Outcome Number of recalled drugs marketed as available for purchase on the Internet. Results We identified 16 class I equivalent permanently recalled or restricted drugs, 56.3 % (n = 9) of which maintained market authorization in either China or India. Half (n = 8) were marketed for sale online without a prescription direct-to-patient. Use of social media marketing was mixed, with only 18.8 % (n = 3) of recalled drugs having a presence on Facebook, though 50.0 % (n = 8) had content on Twitter. We also found the majority (68.8 %, n = 11) were available and marketed for sale by vendors on the wholesale/business-to-business website alibaba.com primarily as active pharmaceutical ingredient. Conclusion Despite efforts in several countries to restrict access to these drugs or permanently remove them from the market, our study indicates that various sources actively market recalled drugs for sale online. Drug regulators, public health agencies, and law enforcement officials should act with urgency to appropriately restrict and regulate these sales to protect global patients and consumers. The online version of this article (doi: 10.1007/s11096-015-0154-8) contains supplementary material, which is available to authorized users. PA received support from an NIH Summer Research Training Grant Fellowship and greatly acknowledges this support. The authors would like to thank the Canadian Social Sciences and Humanities Research council for their support. TM received funding from the Canadian Social Sciences and Humanities Research Council in support of this research. The authors have report no conflicts of interest pertaining to this study. U.S. Food and Drug Administration [Internet]. FDA Website. [cited 2015 Jun 1]. Drug recalls. http://www.fda.gov/drugs/drugsafety/DrugRecalls/default.htm. Pharma&MedTech [Internet]. Drug recalls soared again in 2013, driven by contamination. [cited 2015 Jun 1]. 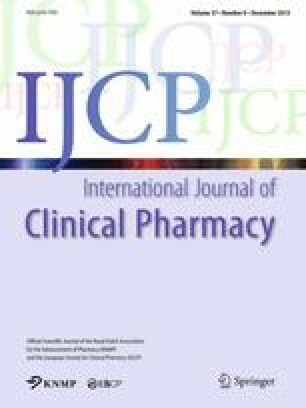 http://www.pharmamedtechbi.com/publications/the-pink-sheet/76/26/drug-recalls-soared-again-in-2013-driven-by-contamination. National Association of Boards of Pharmacy [Internet]. Not recommended sites. [cited 2015 Jun 1]. http://www.nabp.net/programs/consumer-protection/buying-medicine-online/not-recommended-sites/. LegitScript. [Internet]. Frequently asked questions. [cited 2015 Jun 1]. http://www.legitscript.com/about/faq.